I seem to have become a knitting bore. At the moment it’s what I do of an evening whilst watching (or more like listening to) TV and it seems to be all I am blogging about at the moment. I am sorry if I have become a little woolly and one dimensional! I set up my blog two years ago and it was quite a slow start, but now I seem to have picked up a little. I hope you enjoy some of the things I write about…. So, in my attempt to be less knitting focused (despite starting a new project last night), today I have got the sewing machine out. 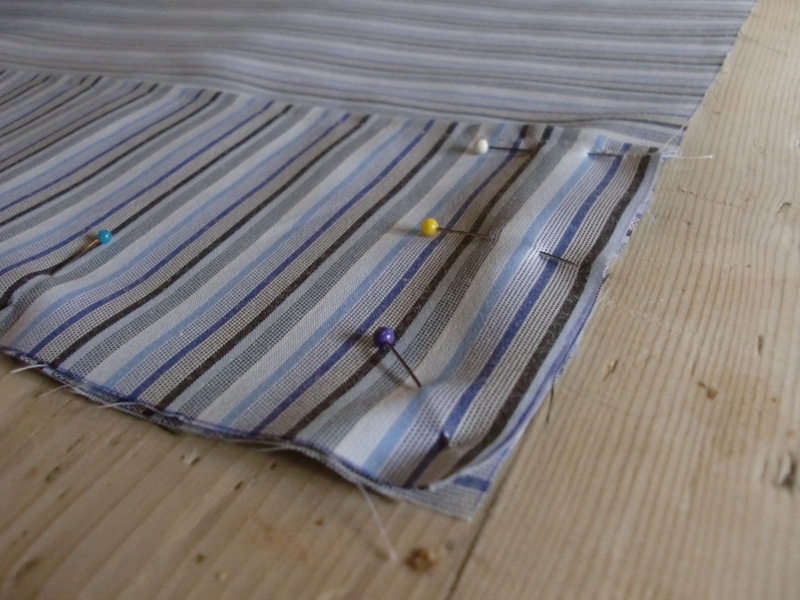 Well, actually it’s never really away as I seem to be forever in the middle of making curtains or taking up trousers. 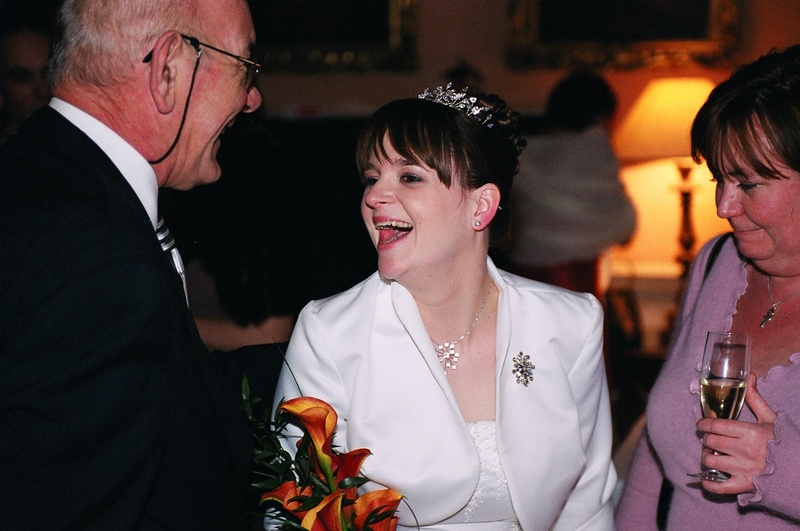 However I think the last thing that I sewed for myself was a little jacket to wear on my wedding day. It was a stunning but cold say so I am surprised to find there are only 3 pictures of me wearing the jacket! Worse still is that in the best shot of the jacket I have a stoopid facial expression! So today whilst the little bear had a sleep I made a start on some sewing for myself!! Sadly my sewing seemed to have a knitting slant as I decided to make a case for my crochet hooks and DPNs. Sorry, can’t help myself! I am actually nearly done and just need to trim some threads and sew on the button later tonight. Next on the list is a knitting needle case…..
and don’t get me started on that ENORMOUS cake! Mmmmmmmmm! I know, the cake was amazing. 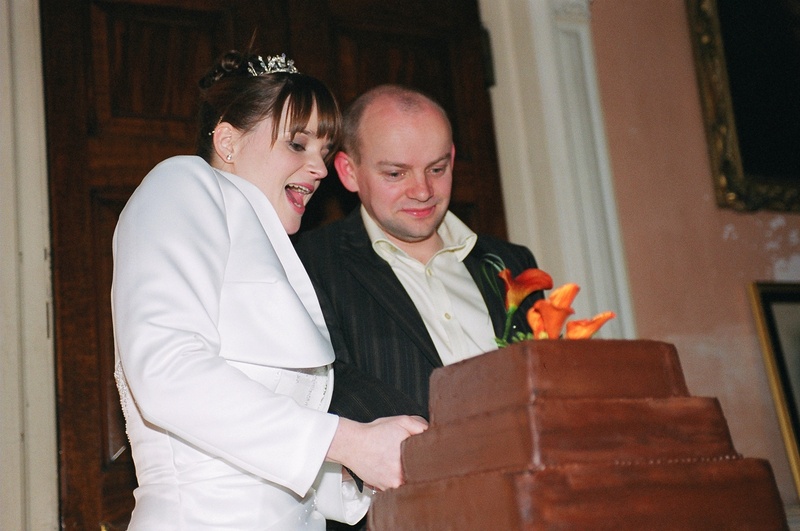 Luckily we had loads left…the freezer had never been so full, and a freezer so full of yummy chocolate cake is just the best way to start married life!